Create, communicate and capture value. How well does your organisation create, communicate and capture value? Profit leakage, driving organic sales growth, addressing ‘must win’ deals and strategic accounts. All of these are sales challenges that need to be met with value drivers that resonate with your prospect and client base. For sale leaders, the greatest challenge can often be the time taken to implement change that accelerates growth and profitability at organisation level. This is why Salestrong have developed the Growth Accelerator service. A bespoke and unique service offered by Salestrong, Growth Accelerator is a hybrid coaching and consultancy service that is of particular benefit to an organisation where sales teams spend time working on large, complex deals and strategic accounts. Growth Accelerator is dynamic, hands on and designed to support new or ‘live’ deal opportunities and improve negotiated outcomes. Delegates will actively work on their own live deals in teams, supported by Salestrong coaches to generate insight and accelerate the deal outcome. A 2014 study from Aberdeen Group reported a 14% shorter sales cycle in companies who coach deal opportunities. How does Growth Accelerator work? Like most services from Salestrong, Growth Accelerator is run either as a programme of learning or a training session. Typically, Growth Accelerator is run over two days as ‘sessions’, but this is dependent on the complexity and number of teams and deals involved. To ensure success, these sessions are designed to bring together the key stakeholders involved in creating successful deal outcomes and all of those present will be asked to contribute. Growth Accelerator takes a disciplined and dynamic approach, using specific tools, applications and techniques to help each delegate identify gaps in their approach and knowledge, working in real time with a coach to close those gaps. Capture greater value from the deal, through cross and upselling and not losing value through discounting. The knowledge, skills and confidence to accelerate the deal to a close. Stronger customer relationships, securing your position as ‘Trusted Advisor’. Improved selling capability and confidence, to take forward into future deals. A more cohesive and collaborative sales team, working together to help close ‘must-win’ deals. Absolute clarity over the customer’s buying process. Reduction in the length of your sales cycle. Greater retention of high-performing sales staff. Growth Accelerator is an incredibly dynamic service that the team at Salestrong have worked hard to develop. It’s unique to Salestrong and can be bespoke to any organisation. We take pride in having been able to create, communicate and capture value upwards of $150million dollars and offer a service that has been described as a ‘game changer’. 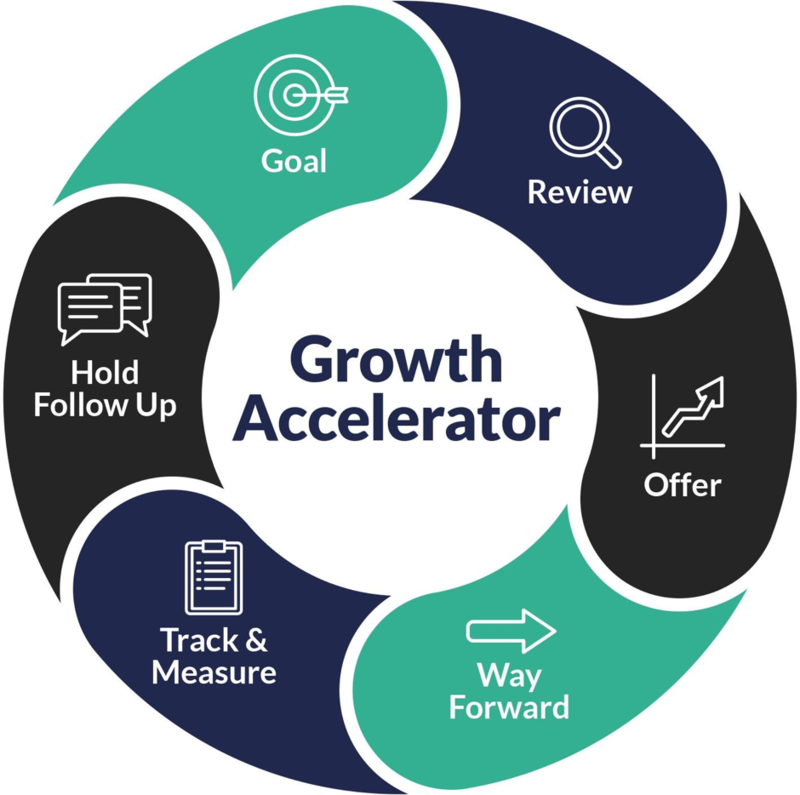 If you are a HR, Sales, Marketing or Executive leader looking for expertise in driving organic sales growth and a service that delivers actual results, then Growth Accelerator is the right choice for your organisation. From the start, the Salestrong team will set objectives and metrics that drive mutual success for your organisation, your clients and for Salestrong. Growth Accelerator is a flagship service that is all about creating a winning partnership. "Following a deal review session, I managed to meet additional key stakeholders across the the customer business. They really liked the value proposition that we created in the session. I’ve now also found out that they have a serious issue that we can help with. I presented an abridged version of the value proposition and the competitive landscape to two key board members and I feel in a much better place than I did before, so thanks for your help and insight."